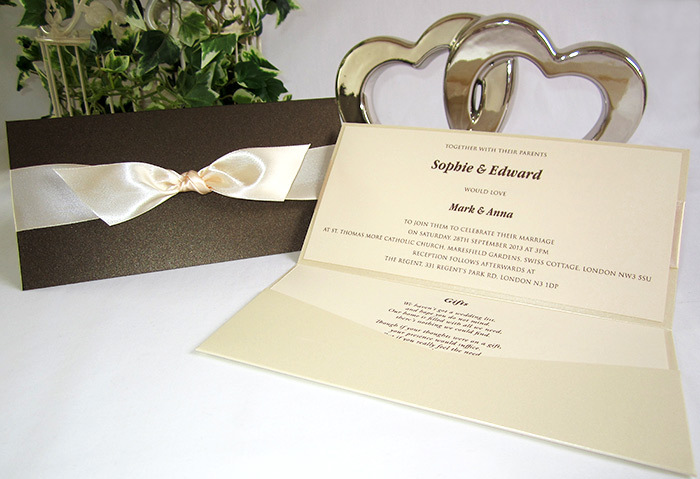 ‘Kensington’ is a romantic, elegant design, combining luxurious satin ribbon with a beautiful pearlescent pocketfold. The pocketfold is DL size (100x210mm) and available in a range of matt or metallic colours (shown here in metallic chocolate or cream.) It comes with one insert card included and is also available as a 5x7in (178x128mm) or square size (150x150mm) pocketfold. Many different ribbon colours are available. Pocketfolds are great for adding additional guest details, gift list and RSVP card. 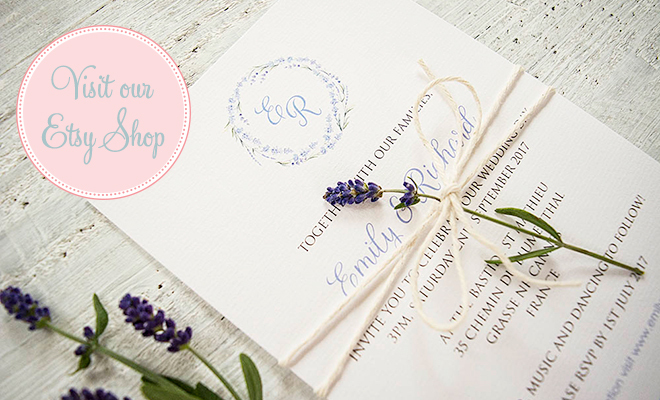 The wedding invitation also includes an unlined envelope in white or ivory. Envelope lining is also available at an additional cost.